A villa wedding on Samui ticks all the right boxes on most peoples list when looking for a destination wedding - Freedom, Relaxed and Personalized. Not only will you have a wedding in a stunning unique private venue but its also common to mix your wedding and honeymoon into to one week as you are already at a dream beach destination. Thailand has proven to be one of, if not the best beach holiday locations in Asia and the island of Samui still remains at the front of this due to its popularity. So as we said “villas are the way” and its up to you to choose a spectacular beach villa or a mesmerizing hillside villa and then just say 'I Do' in paradise. Koh Samui is one of the country's most romantic destinations; sprinkled with a dash of that elusive "something special". Despite the arrival of luxury hotel and hospitality firms in recent years, the island has managed to hold on to its tropical appeal and natural beauty. 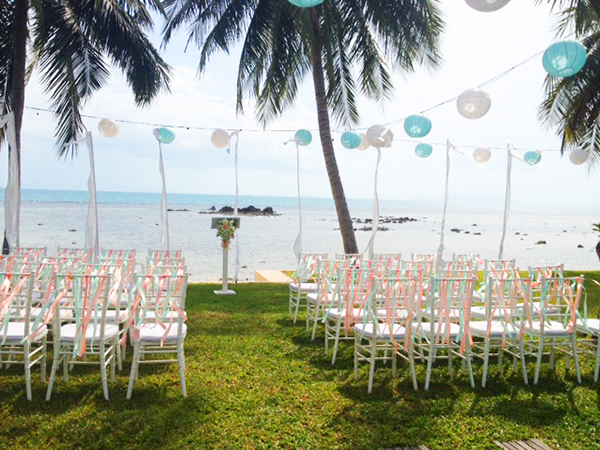 Far from being a castaway island, however, as appealing that may sound, Koh Samui has all the world class facilities and amenities to ensure a seamless, idyllic destination wedding. Professional service providers take care of details, a choice of world class accommodation includes stunning private villas, and of course the beach is just a pebble's throw away. Not only are destination weddings renowned to cost a fraction of the price they would at home in the west, would-be brides and grooms can also opt to make their wedding meld straight into the honeymoon before embarking on the journey of a lifetime. Hollywood entertainment news would reveal that the venue of choice for many stars are private villas, and with good reason. Holiday residences offer privacy fit for the billionaire recluse, and at the same time, pampering levels fit for a rockstar. 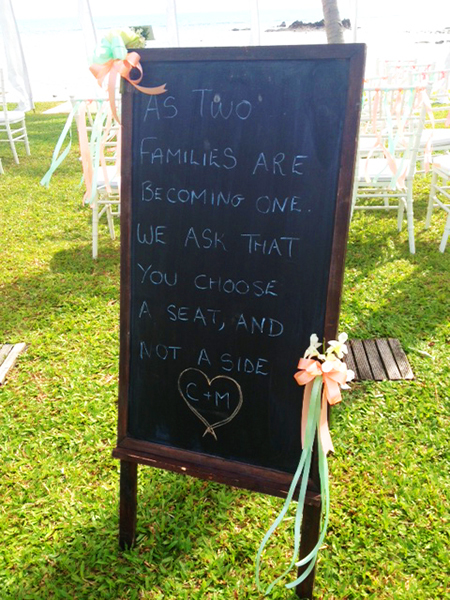 Professional management companies pull out the stops when arranging for the big day, celebrating the individualities of every different couple with no detail too small and no request unattainable. A dedicated team makes sure all preferences and requests are noted. Be it a private chef, a wedding assistant to wait on the bride's veil and train, or a concierge to take care of all travel arrangements for the wedding party guests, all aspects of the gathering can be customized and executed to perfection. 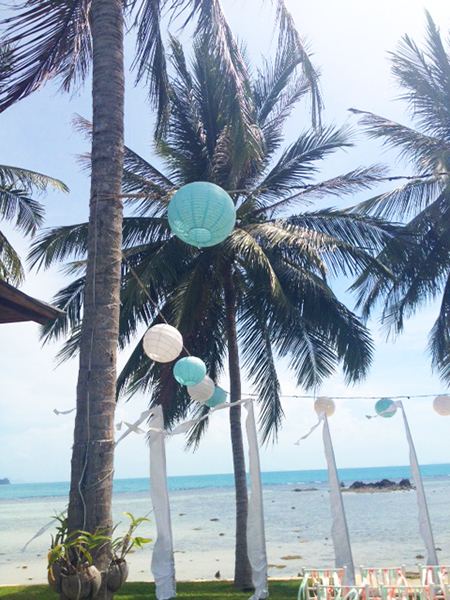 Its the new buzz word when it comes to weddings “bespoke celebrations” and Koh Samui has been a leader in this aspect due to the nature of the islands progressive development and attracting a varied mix of people living and working there. And with its warm balmy weather and surrounding clear azure waters it can only enhance your creative side.We could create an endless list of ideas and concepts that could be created for your own take on a wedding theme. The key to it all is the experienced wedding planner and team such as 'The Signature Weddings' who not only will put all this together with you, also have access to great local suppliers and support services that can include ( photographers, Flower artists, Private chefs, various live band or DJ and of course Hair and makeup – even a Baby Elephant can pay a visit.